I usually try to edit down to the best shot, but I can’t decide which shot really conveys what it was like for me yesterday, watching people watch the parade, because as I said, I couldn’t see a thing. Sometimes I tried to watch the parade from the tiny screens of the cameras they were holding up. 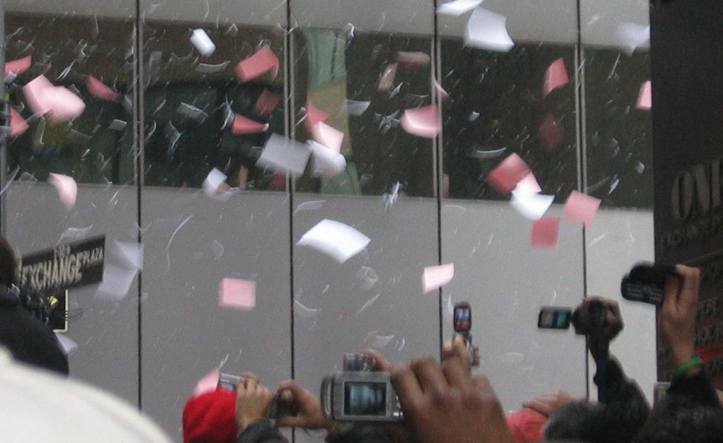 Loved the confetti, especially when it was pink or red. 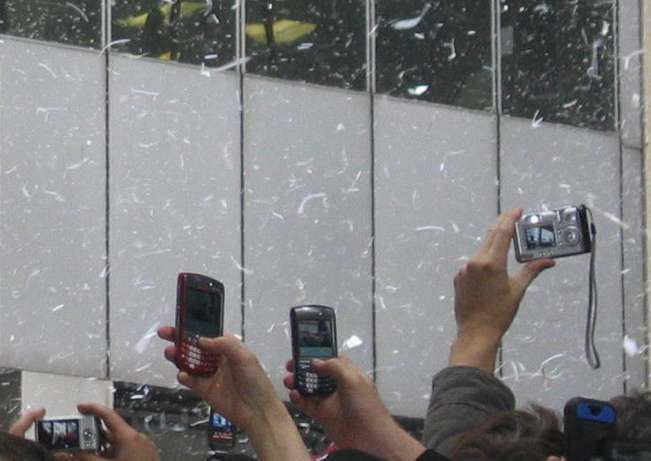 Is this a better shot of the confetti? I don’t know. 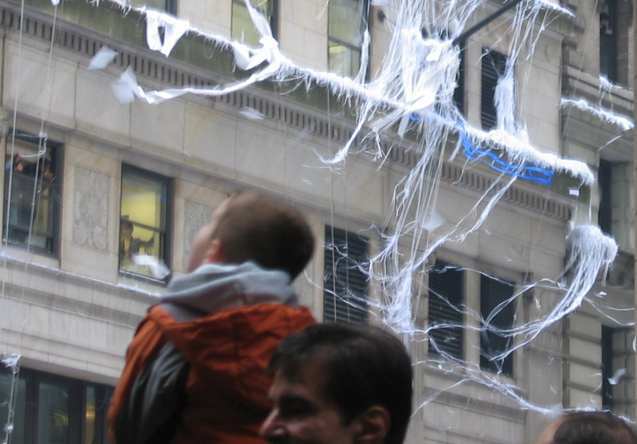 Here’s confetti that almost looks like snow on the window ledges. 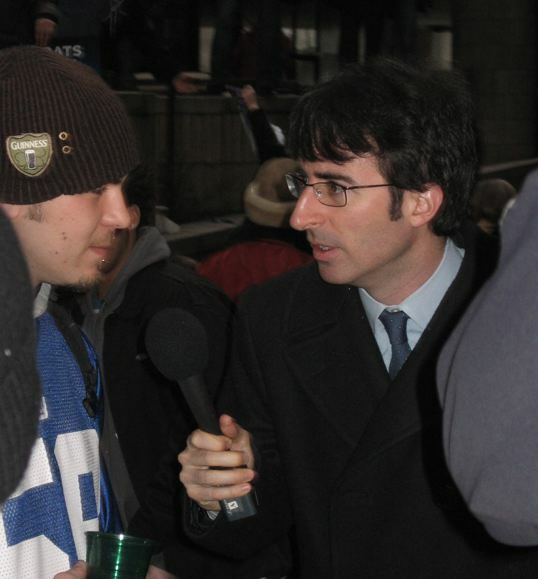 Here’s Jon Oliver again, because he’s so cute and funny. 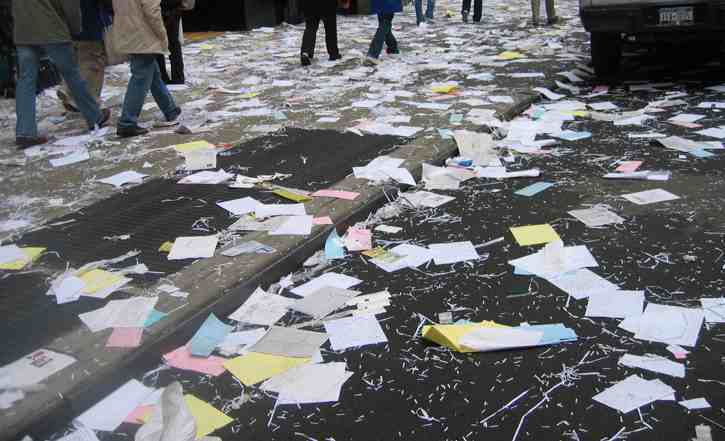 And here’s the aftermath, on a side street, not even Broadway, the actual parade route. I love New York.